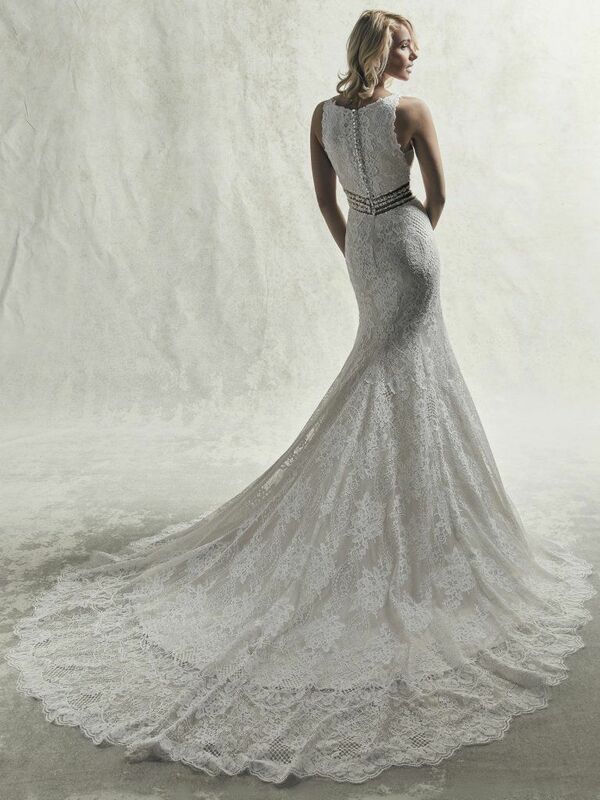 This chic lace wedding dress features a unique jewel neckline, with beaded lace trimming the illusion plunge and illusion waistline. 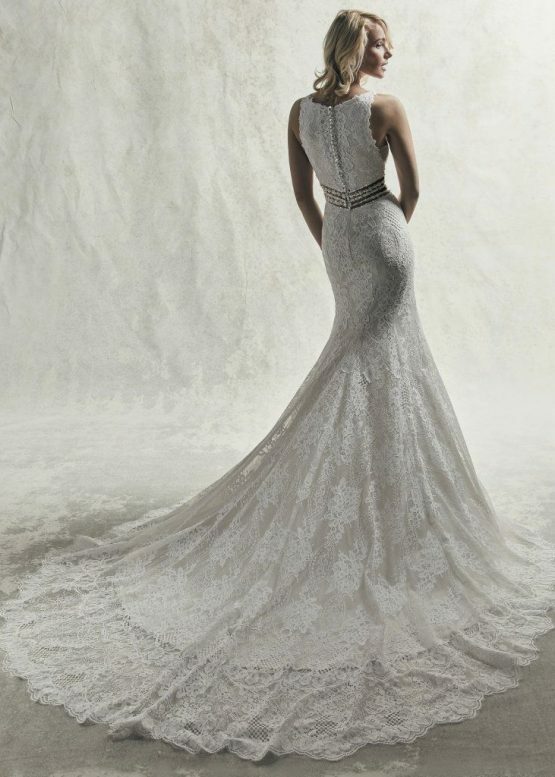 Sheath silhouette comprised of soft allover lace and Inessa jersey, flowing into an illusion extended train. Finished with pearl buttons over zipper closure.